The Amex Global Lounge Collection is one of the best features that both cardholders of the Platinum Card from American Express, and The Business Platinum Card from American Express OPEN receive access to over 1,000 airport lounges across the world. If you need help redeeming American Express Membership Rewards points for maximum value, we recommend using the Juicy Miles award booking service, who can help you redeem for the lowest amount of miles including using partner airlines. 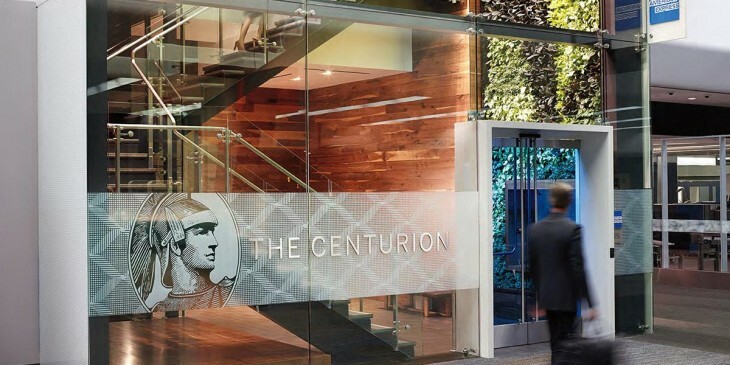 Centurion Lounges by American Express are my favorite type of lounge within the collection. Locations include Las Vegas, Dallas, New York (LGA), San Francisco, Miami, Seattle, and Houston, with Hong Kong and Philadelphia coming soon. As a cardholder, you receive access for yourself and up to two guests traveling with you. Cardholders receive access to Delta Sky Clubs when flying Delta and we’ve had the opportunity to check out several of them across the country. Cardholders receive a Priority Pass Select membership and recently have added the perk that you can bring two accompanying guests for no charge when you visit priority pass lounges. Take a look at the all the lounges part of the Priority Pass program you’re able to visit. Cardholders receive complimentary access to Airspace lounges, with locations currently in New York at T5, Cleveland, and San Diego. Cardholders receive complimentary access to Airspace lounges, with locations in the US currently in Minneapolis and in Oakland. If you’re interested in receiving access to the lounges mentioned above, both the Platinum Card® from American Express, and The Business Platinum Card® from American Express OPEN receive access to over 1,000 airport lounges across the world. What about the global lounges in Mexico City airport and a few other locations? Priority pass lounges are not as good as described Recently on a trip to South America in Lima the waiting list to get in was over 2 hs long an in Buenos Aires Amex platinum cardholders are allowed in the lounge only from 10:00 PM to 2:00 PM !!! Is that a real benefit??? I will be flying to London and Toronto at the end of July. If I apply for a Platinum card now. Will I be able to get Priority Pass in time for my trip? Do I have to wait until I reach minimum spend? You can use the lounges as soon as your amex card arrives. Ask if they can expedite it. Link it to your priority pass account, and don’t forget to download the PP app so you can have a virtual card to use when entering the lounges. Saves you from having to carry the physical PP card in your wallet. I am flying from Houston on New Years day with my partner, four adult children and my parents. I have Amex platinum and partner has a supplementary card and a gold card in her name. I am desperate to visit the centurian lounge but don’t want to ditch the family. Any ideas if this is possible?